Whether you’re just getting started or you’re looking for a refresher, this dictionary is the ultimate source for every need-to-know term related to local SEO. Here are the definitions to every industry-specific term you may have come across in our past blogs. Want your own copy of this dictionary? Enter your email below and we’ll send you a downloadable version you can share with your team. A/B Testing: Is the process of testing two variants (like landing pages) against each other to determine which version performs better. Aggregator: In the world of local search and business listings, the aggregators are companies that manage databases of the local businesses. They sell that data to local search sites, like Google, Yelp, Facebook, Yellowpages, etc. that power the business listings on those sites. Some U.S. aggregators include Infogroup, Neustar/Localeze, Acxiom, and Factual. Algorithm: An algorithm is a detailed step-by-step instruction set or formula for solving a problem or completing a task. 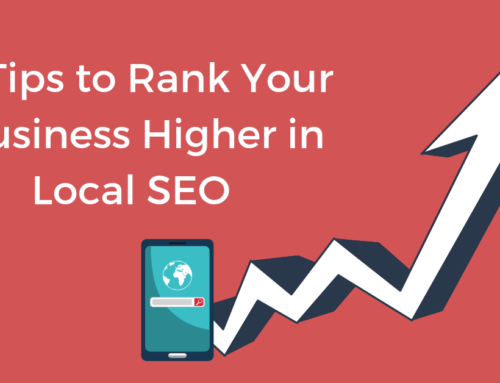 For example, many local search algorithms are designed to sort through all the possible results, weigh the different results based on a number of factors such as listing accuracy and popularity, and then return the most relevant and popular results to users. Alt Text: A word or phrase that can be inserted as an attribute in an HTML document to tell Website viewers the nature or contents of an image. The alt text is the text that appears in the blank box that would normally contain the image, only visible to the end user if the graphic is undeliverable. AMP (Accelerated Mobile Pages): A Google-backed project designed as an open standard for any publisher that project enables the creation of websites and ads that are consistently fast, beautiful and high-performing across devices and distribution platforms. You can distinguish AMPs by the lightning bolt shown below search results. Anchor Text: Anchor Text is the visible, clickable text in a hyperlink. In order to optimize for search engines the anchor text, content, and URL should all contain the same keywords. API (Application Programming Interface): In simple terms, it is the part of the server that receives requests and sends responses. Programs use API’s to integrate data from one product to another. Chatmeter, for example, uses an API to connect with Google, Facebook, Yelp, and more. This allows our customers to access the data from these programs without having to leave the Chatmeter dashboard. Backlink (aka Inbound Link): When a web page links to any other page, it’s called a backlink. For example, this link is a backlink to a more in depth description about backlinks and how they are used in SEO. Black Hat SEO: The use of aggressive SEO strategies, techniques and tactics that focus only on search engines and not a human audience, and usually does not obey search engines guidelines. Boolean Search: A type of search that allows users to combine keywords with operators (or modifiers) such as AND, NOT and OR. For example, a boolean search could be [“Hotels” and “New York”]. This would limit the search results to only those documents containing the keywords “Hotels” and “New York”. Branded Keywords: Keywords that are variations of the brand or company name and used by searchers who are already familiar with a brand or company and searching for them by name. Brick-And-Mortar: A business that has physical locations that consumers can visit. Category: A business type that helps search engines classify businesses. There are approximately 2,000 default business types within search engines and many categories are based on the North American Industry Classification System, or NAICS. A business owner can edit their category if they have already claimed and/or verified their business listings. Conversion: The ability to have a consumer perform an action on your website such as call, email, or visit a business location. This can determine the success of your online strategy and goals. The conversion rate is the percentage of users who take a desired action. Cookie (web, internet or browser cookie): When a user is browsing a web page, the browser will place a small piece of data, called a cookie, to be stored on the user’s computer. CPC (Cost Per Click): Refers to the actual price you pay for each click in your pay-per-click marketing campaign. CTR (Click-through Rate): A ratio showing how often people who see your ad end up clicking it. CTR can be used to gauge how well your keywords and ads are performing. Direct Traffic: Visits to your website without a referring website. When a visitor follows a link from one website to another, the site of origin is considered the referrer. These sites can be search engines, social media, blogs, or other websites that have a link to other websites for visitors to follow. Direct traffic, however, categorizes visits that do not come from a referring URL. 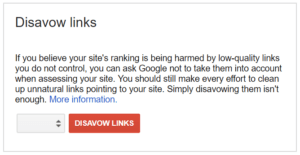 Disavow: This is the process of asking Google not to consider spammy, artificial, or low-quality backlinks when ranking your business in a search. Duplicate Content: Generally refers to substantive blocks of content within or across domains that either completely matches other content or are appreciably similar. Dynamic Content: Opposite of Static Content, web content that is generated for you at the time you request the page. 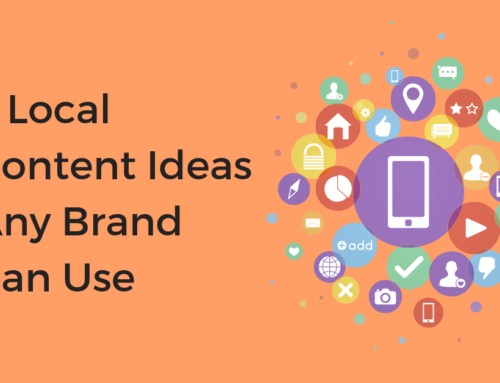 Dynamic Content is great for content that is constantly changing, viewer-specific content, and conditional content. Duplicate Reduction: Duplicate reduction is the act of removing a listing through API. Although this manual process takes longer than suppression, it’s permanent. Duplicate Suppression: Duplicate suppression is a way of hiding your listings on some of the major search engines and directories like Google, Bing, Yelp, and Facebook. Unlike reduction, duplicate suppression is not a permanent solution. External Link: Hyperlinks that point at (target) any domain other than the domain the link exists on (source). 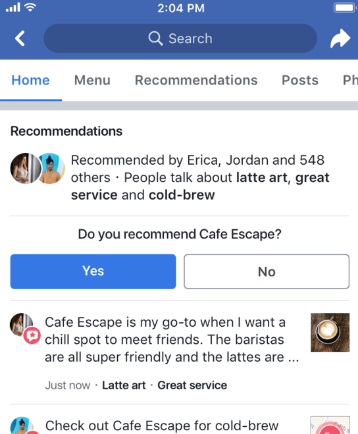 Facebook Recommendations: Facebook now asks for reviews through a yes or no recommendation option. This replaces Facebook’s previous review style with star ratings. Users can also recommend features of the business such as products, atmosphere and more through single-click recommendation options. Google Ads: Google’s online advertising program used to create online ads is Google Ads (previously Google Adwords). These online ads target people who are searching for your product or service. 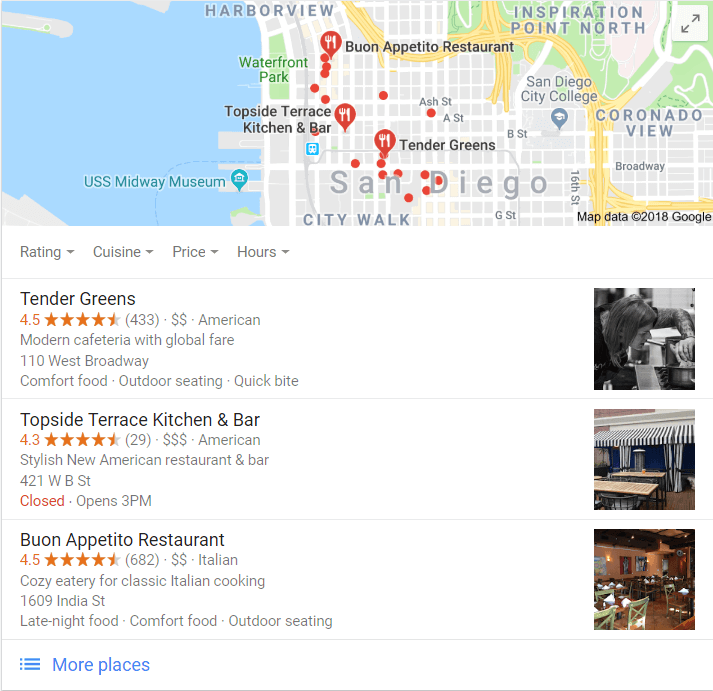 Ads can be purchased and appear in the Search Engine Results Pages (SERPs) or on apps like Google Maps. Google Analytics: Google Analytics is a tool you can use to analyze data from all touch points of website usage in one place, for a deeper understanding of the customer experience. Googlebot: Google’s web crawling bot (sometimes also called a “spider”). Crawling is the process by which Googlebot discovers new and updated pages to be added to the Google index. Google Insights: Google refers to their data and analytics as “insights”. Most commonly, Google Insights refers to data from a Google My Business listing. Google 3-pack: The first three search results provided by Google for local searches, also known as the “Google Snack Pack”. GMB (Google My Business): Google My Business; A Google listing page for your business. Hidden Text: Text on a Web page which is visible to search engine spiders but not visible to human visitors. This is usually achieved by setting the font color to the same color as the background, rendering the text invisible unless the user highlights it. 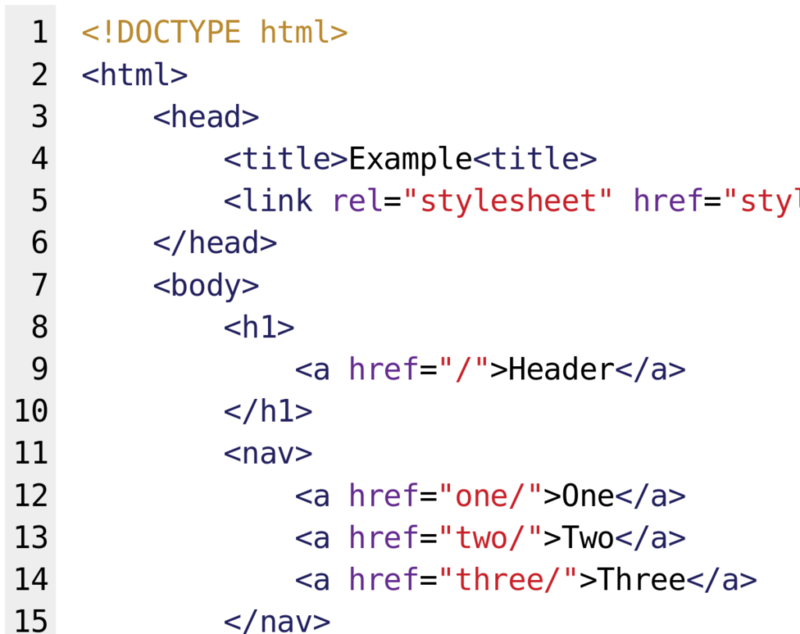 HTML (Hypertext Markup Language): A coding language used to create pages on the world wide web. 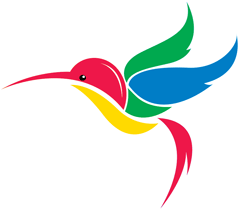 Hummingbird: The name for Google’s search algorithm designed to better focus on the meaning behind the words. Google has been using this search platform since September, 2013. Hyperlocal: A way to describe web content that is focused on a very small geographical location such as a neighborhood. Internal Link: An internal link is a type of hyperlink on a webpage to another page or resource, such as an image or document, on the same website or domain. Hyperlinks are considered either “external” or “internal” depending on their target or destination. Keywords: The words and phrases that Internet users type into search boxes of a search engine, such as Google, to find websites that match what they are looking for. Keyword Stuffing: The practice of loading a webpage with keywords or numbers in an attempt to manipulate a site’s ranking in Google search results. Often these keywords appear in a list or group, or out of context (not as natural prose). Knowledge Panel: The Google knowledge panel showcases information about a business or person. In regards to a local business, the knowledge panel will display information such as business name, address, phone number, website, reviews, the location on a map, directions, and more. Landing Page: The section of a website accessed by clicking a hyperlink on another web page, typically the website’s homepage. Link Bait: Content on a web page designed to attract attention and encourage those viewing it to create hyperlinks to the site. It draws traffic to a website without keyword searches or specific searches for that web page. Local Authenticity: The ability of a business to demonstrate a local presence in the lives of consumers by establishing a positive brand image. Long Tail (Keywords): A keyword phrase that contains at least three words used to target niche demographics rather than mass audiences. They allow you to rank highly in search results for popular topics relatively quickly. 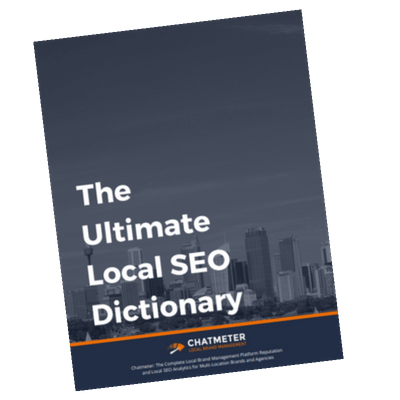 Local Search: Local search refers to any search aimed at finding anything within a specific geographical region. Typically these searches are made with the intent of making an offline purchase. 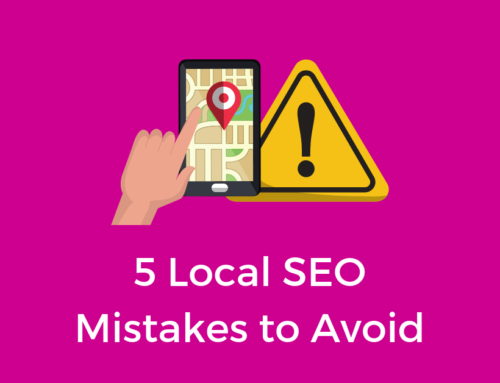 Local SEO: The same as SEO except used to improve rankings in local searches and on mapping applications such as Google Maps. This is much more important than regular SEO where consumers are typically in the researching stage. In local search, buyers have intent to make a purchase. Meta Description: A ~150 character snippet, a tag in HTML, that summarizes a page’s content. 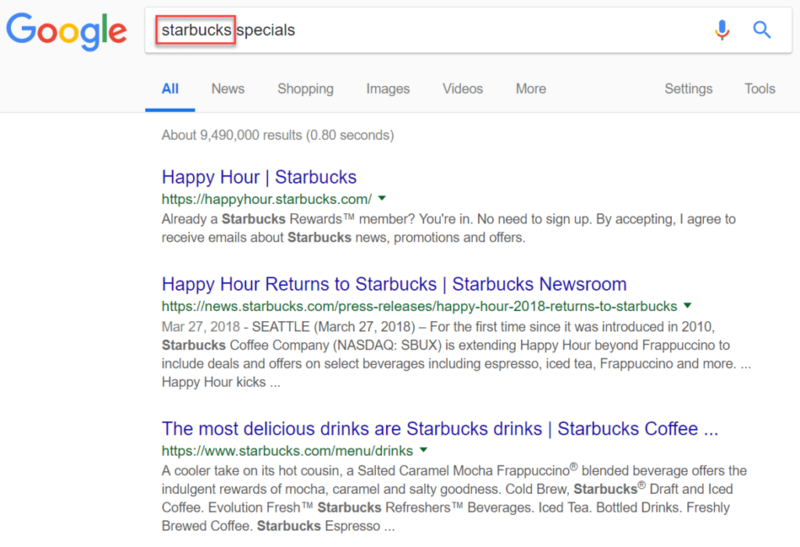 Search engines show the meta description in search results mostly when the searched for phrase is included in the description. 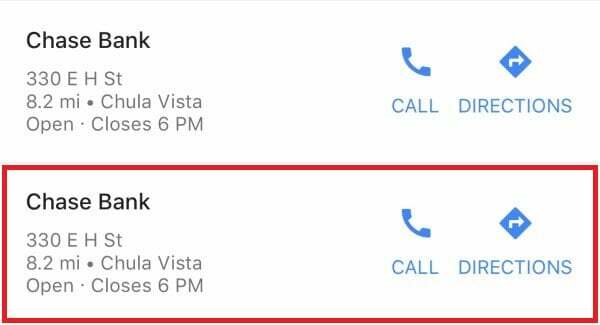 NAP (Name Address Phone): The crucial information every business listing needs to have. Local search engines use NAP information to judge the accuracy of the data in their own indexes. Consistent NAP information is essential to improving search engine rankings. Natural Language Processing: The ability of a computer program to understand human speech as it is spoken. 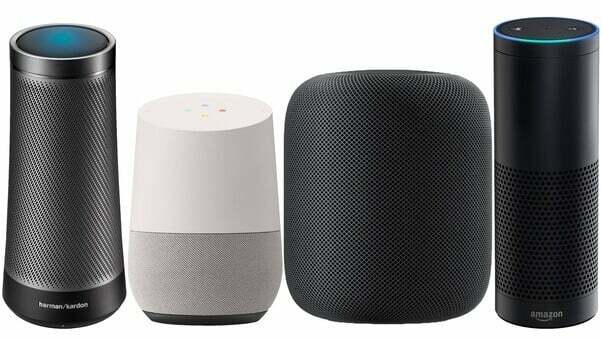 Many search engines are developing sophisticated NLP to use in voice assistants such as Siri, Alexa, and Google Home. 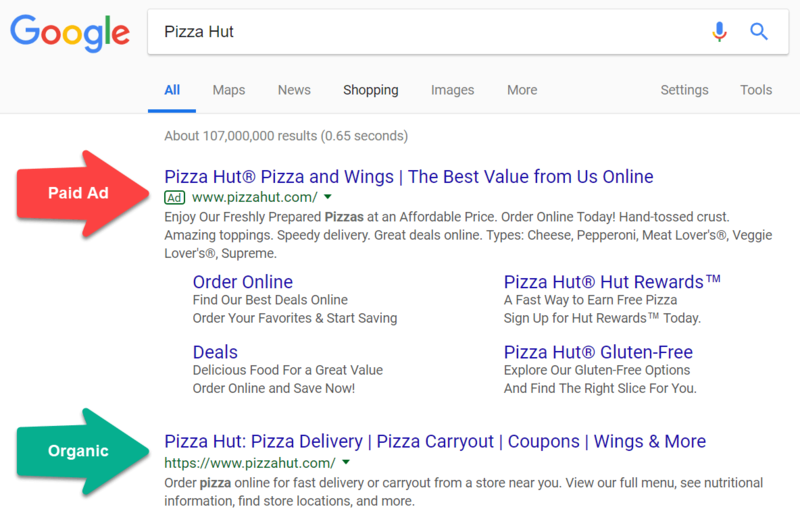 Non-Branded Keywords: Keywords that do not contain a brand name and are not associated directly with a specific company or brand. Organic Search: A listing which appears in search results because it is relevant to the search terms used to find it. Organic search results did not pay for their spot on the SERP. Optimize: To make the best or most effective use of a resource. For example, a smart business owner will optimize their local business listings. PageRank: An algorithm utilized by Google to rank websites within their search results. It is used as a way to measure the importance of web pages. PPC (Pay-per-click): An internet advertising model used to direct traffic to websites, in which an advertiser pays a publisher. Google Adwords is an example of PPC. Quality Score: An estimate of the quality of your ads, keywords, and landing pages. Higher quality ads can lead to lower prices and better ad positions. RankBrain: Google’s machine-learning artificial intelligence system, RankBrain, is used to help process search results and is a part of the overall search algorithm. Rankings: A position or scale of measurement placed on a business online based on a multitude of ranking factors determined by search engines. Reputation Management: The practice of attempting to shape public perception of a person or organization by influencing online information about that entity. Review Gating: Review Gating is the process of asking customers about their experience and segmenting them by positive or negative experiences with the business. Those who respond positively are pushed to leave a public review. Those who respond negatively are pushed to leave a comment with customer service. This is in direct violation of Google and Yelp guidelines. Review Generation: A tool, like Chatmeter’s Review Builder, used to help businesses collect more reviews from their customers via a form. Reviews generated using this tool can then be displayed on the business’ website. Rich Snippet: A snippet is what appears to a user in a search result (like the first image below). A rich snippet includes more information like a photo, rating, author, etc. (as shown in the second image below). A rich snippet is created by adding structured data to your site. ROI (Return on Investment): ROI measures how much profit is made on an investment as a percentage of the cost of the investment. ROAS (Return on Advertising Spend): This metric measures the performance of advertising dollars. By calculating the ROAS you can see which ad campaigns are most effective and how you can improve in the future. RSS (Rich Site Summary): Also called, Really Simple Syndication, is a format for delivering regularly changing web content. It allows you to easily stay informed by retrieving the latest content from the sites you are interested in, save time by not needing to visit each site individually and ensures your privacy, by not needing to join each site’s email newsletter. Search Engine: A program that searches for and identifies items in a database that correspond to keywords or characters specified by the user. The top 3 search engines are Google, Bing, and Yahoo. SEM (Search Engine Marketing): This is a form of Internet marketing that involves the promotion of websites by increasing their visibility in search engine results pages (SERPs) primarily through paid advertising. Sentiment / Sentiment Analysis: The process of identifying and categorizing text, particularly in reviews, in order to determine the writer’s opinion on the matter. This can be utilized by businesses to gain insight into the quality of the customer experience and see where improvements are needed. SEO (Search engine optimization): This is the practice of increasing the quantity and quality of organic search traffic to your website by using on page, off-page, and technical optimization techniques. SERP (Search Engine Results Page): After a search query, this page displays the results from the search. Service Area: This is the term used to describe the area in which a business will provide services for. Service-based businesses and businesses with delivery will define a service area for their customer base. Sitemap: A list of the pages found on a website. This can be internal, used by search engines to find the correct pages on a website, or external, used by visitors to the site. Static Content: Opposite of dynamic content, static content are files that don’t change based on user input. Static web pages can be great for SEO since they are easy for spiders to read. Social Proof: The influence that the actions of people around us, either online or in person, have on our own behavior. Social proof is a necessary tool to help build trust among a business and consumers. TrustRank: A link analysis technique used to differentiate between real and spam web pages by filtering web results based on the reliability of the site. UGC (User Generated Content): Any form of content such as blogs, wikis, discussion forums, posts, chats, tweets, podcasts, digital images, video, audio files, advertisements and other forms of media that was created by users of an online system or service, often made available via social media websites. User Experience Design (UX, UXD, UED, XD): The process of improving user experience with a product by enhancing the accessibility, usability, and functionality of the product so as to increase satisfaction for the consumer. VEO (Voice Engine Optimization): This term, coined by Chatmeter, refers to the strategy for creating content that is optimized for voice search results. Web Search: A traditional search query performed on a search engine such as Google.com. 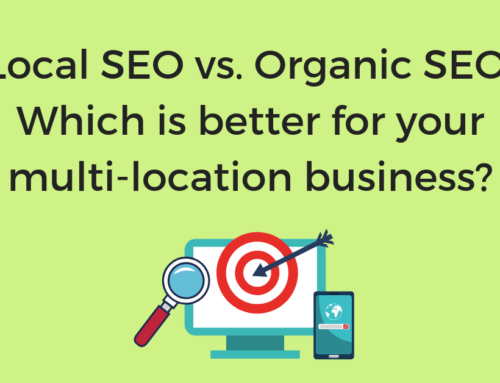 There is a distinct difference between a web search and a local search. White Hat SEO: Opposite of Black Hat SEO. White Hat SEO is a practice used to improve search performance that is in line with terms and conditions set in place by a search engine. White Label: A product or service produced by one company (the producer) that other companies (the marketers) rebrand to make it appear as if they had made it. Widget: An element of a graphical user interface (GUI) that displays information or provides a specific way for a user to interact with the operating system or an application. ZMOT (Zero Moment of Truth): Google refers to ZMOT as the online decision-making moment when a consumer researches a product prior to purchase. 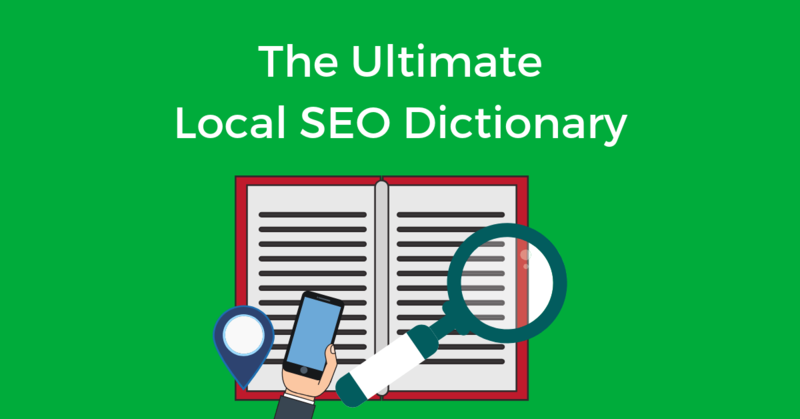 Ready to put your new local SEO knowledge to use? Schedule a free brand analysis today! Did we forget something? Tweet us @chatmeter with the term and we’ll add it to our dictionary! Great article Vivek! I rarely use local SEO tools. Which ones are the most important for you?